Think a different kind of economy is possible? Believe in unleashing the co-operative movement? Want to learn new skills and meet like-minded people? 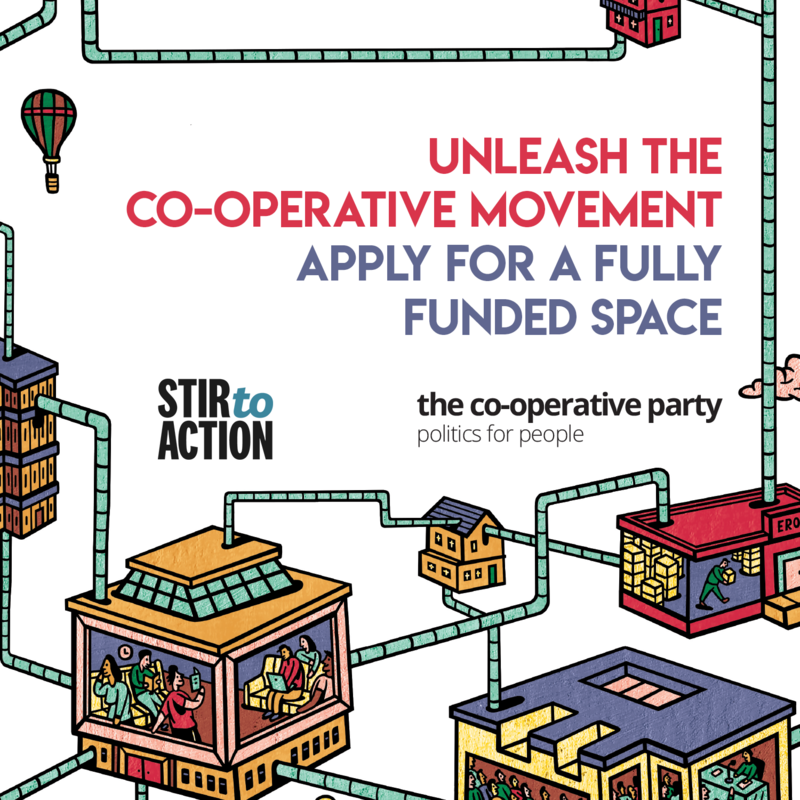 Now, the Co-operative Party are offering 10 fully-funded places on Stir to Action’s New Economy Programme, which includes workshops in London, Bristol, and Oxford to provide more people with the chance to put their values into action. See the rest of the New Economy Programme here. Who are the Co-operative Party? As the political party of the co-operative movement, the Co-op Party works to ensure a political voice for co-operatives, and to make the case for co-operative ideas in our economy and wider society. To find out more about the work of the Party, or to join for as little as £1 a year, click here.